Imagine you have discovered a way to reach the light at the end of the tunnel. A light that represented independence and a place for you to finally enjoy freedom of expression while in pursuit of a new direction to nurture your passion. A safe place for you to thrive without suppression and abuse. You would reach for it with both hands and hold on tight, wouldn’t you? 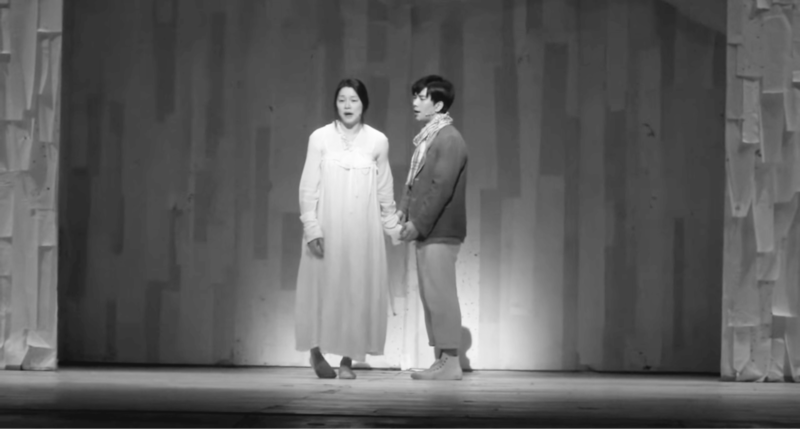 In the musical Seopyeonje, this is exactly what fragile and troubled Dong Ho was trying to do when he decided to leave home, his family, and pansori to start anew. He desperately wanted his sister Song Hwa to accompany him. Was Dong Ho so insistent because he was concerned for Song Hwa’s welfare? Or, was he simply afraid to begin the journey alone? He knew in his heart that she was his only constant, the only one who truly loved him wholeheartedly and unconditionally. From a very young age, Song Hwa was Dong Ho’s only ally and protectorate, especially against their abrupt and explosive father. 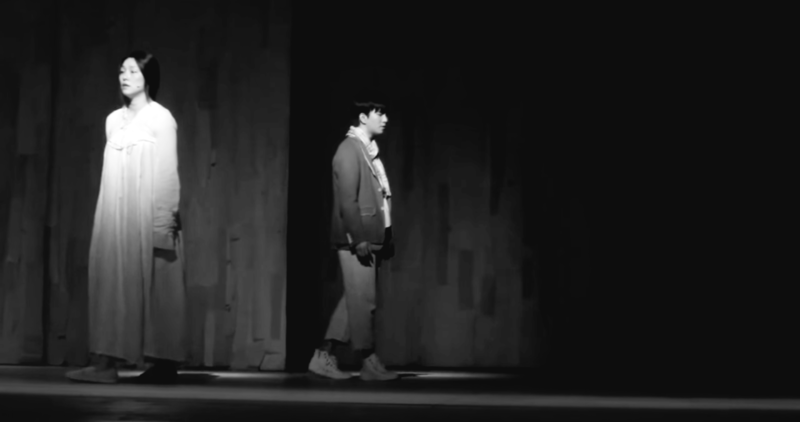 This moment in Seopyeonje was made even more poignant by the deeply moving and sorrowful 다른 소리길 which translated means taking a new road or direction with your voice, or in essence, finding your voice by journeying to somewhere different or new. The richness (and absolute sorrow) in G.O’s voice in this song pierces the heart with gentle force. This was a deeply sad moment in the story. Dong Ho insists Song Hwa leave with him, yet she opts to stay and remain with their abusive father. 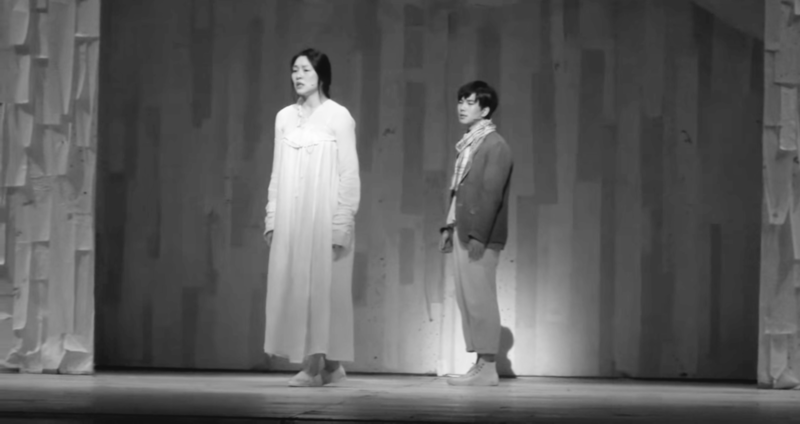 In fact, the sorrow in Cha Ji Yeon’s voice is equally moving. Not forcing Dong Ho to stay and allowing him to journey on the road to a different voice, a different way of life is a sacrifice she makes and one that yields tragic events for them both. 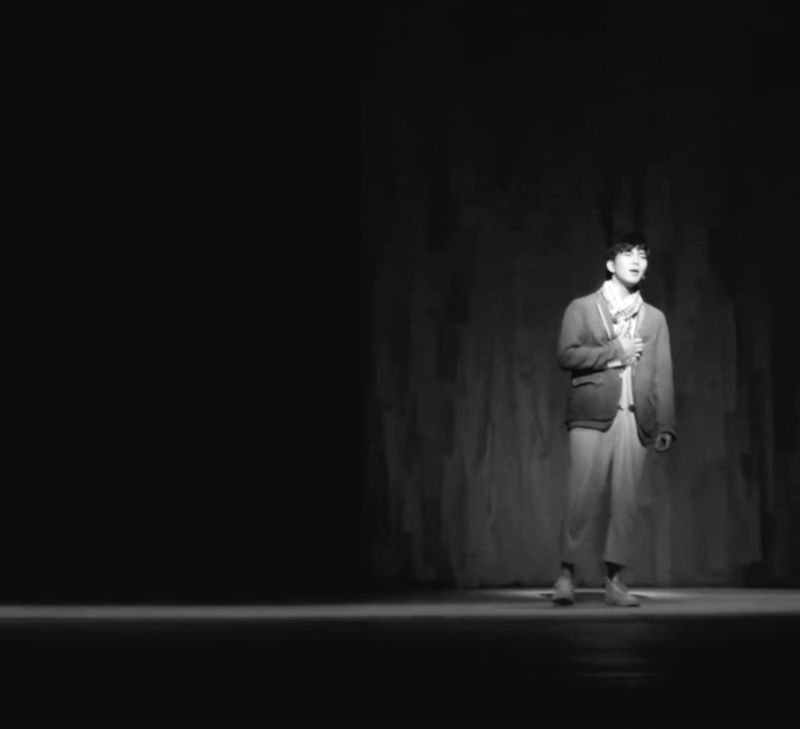 I have always believed (and continue to do so) that G.O possesses a rich and resonate voice. And I absolutely love that he brought that voice to the musical theater stage where it seems to sound even richer (if that is possible). It is as if he sings from a different place inside of him. True, he is portraying a character in a story set to music on a stage. And true, he is not G.O the main vocal for MBLAQ while he is on that musical theater stage performing. But it is still his voice. The beauty of G.O’s extraordinary talent to me (and I have said this over and over and over) is that, much like he has allowed songs to seize control of him while he sings, in musical theater he surrendered not only to the song, but to the character he portrayed. We are so very fortunate that Lee Gina (his director in all three of his musicals) recognized this wonderful ability of surrendering to one’s art, and cast him in three of her productions. More than wanting G.O to return to the musical stage at some point in his career, I really want him, I mean really really want him to fully realize the magnitude of his own talent. I am not convinced he has fully owned that yet. In the meantime, I hope he doesn’t mind me continuing to tell the world about him and his remarkable talent. Categories: G.O Military Discharge, MBLAQ Musings, The G.O Files | Tags: Cha Ji Yeon, Cha Ji Yeon images, G.O, G.O images, G.O on stage, G.O's Military Service, Jung Byung Hee, Jung Byung Hee images, Korean Musical Theater, MBLAQ G.O, MBLAQ G.O images, Musical Actor G.O, Seopyeonje, Seopyeonje The Musical, The Musical Seopyeonje | Permalink. Maybe he’ll do more musical stage work when his MS is done. I am sure that whatever he decides to do, that he will excel at it. Because he is smart and very talented. And I can hardly wait to see where that talent takes our dear G.O.! Yes, I too hope he revisits the musical theater stage…he was remarkable in the two shows I had the honor of seeing. But, I also understand his need to wait until the time is right…if it will ever even be right is hard to figure out and only he knows what will be best for him when he returns from his service. Whatever he decides, I will be right there supporting him every step of the way. That much I know is true!